Welcome! I have clinical expertise in helping individuals overcome tough challenges. If you are suffering from anxiety, sadness, disappointments, life changes, grief and loss, life transitions, interpersonal concerns, chronic pain, complex health care issues, self esteem struggles, or other significant life challenges, please know I am here to help. I work collaboratively to provide active self-care skills within a solution focused and safe environment. I utilize cognitive behavioral and mindfulness interventions to increase motivation, inspire new beginnings, and provide hope for change with a renewed focus. You are not alone! 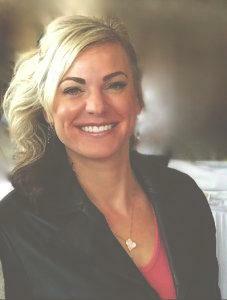 Dr. Terri Lechnyr is a Licensed Clinical Social Worker in Arizona, Oregon and Tennessee. She is a Licensed Psychologist in Oregon and Washington. She has a specialization in cognitive behavioral therapy. Dr. Lechnyr holds a Doctoral degree (Ph.D.) in Psychology and a Masters in Clinical Social Work. Dr. Lechnyr has studied at Pacific Lutheran University, Walla Walla University and Capella University. She completed her post-doctoral Ph.D. training in Pain Management and Behavioral Medicine at the Willamette Medical Center where she worked with a multi-disciplinary chronic pain management team. Her graduate research focused on how anxiety and depression impacted the outcome of spinal implant surgery for chronic intractable pain.